Whenever a serendipitous whiff of cedar wood floats in my direction, I’m instantly taken down memory lane to a place I’ve loved ever since childhood—my family cabin in the Santa Cruz Mountains. From our favorite colognes and perfumes to trusted grooming products and soaps we use every day—aromas can play a powerful role in one’s life. And when components like essential oils are infused through harmonious alchemy, the end results can also produce amazing health and therapeutic benefits. Essential oils, known simply as the extracted oils from plants, roots, or bark are “essential” in the sense that they carry a distinctive scent, or essence, of the plant. 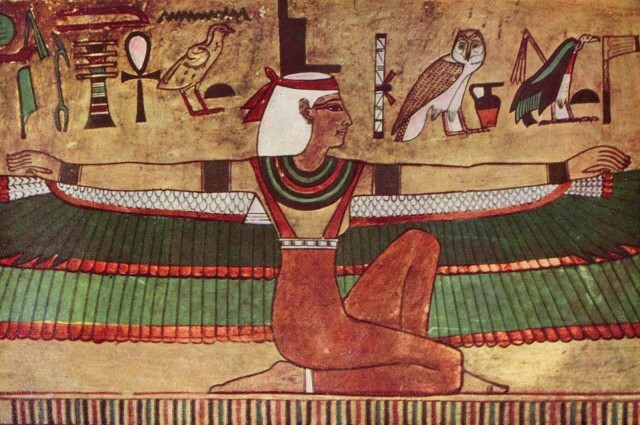 The Egyptians were some of the first people to use aromatic essential oils extensively in medical practice, beauty treatment, food preparation and religious ceremonies. At one point in time, the value of some oils was considered equivalent in exchange for gold. French chemist and founder of aromatherapy, Rene-Maurice Gattefosse rediscovered the powerful healing properties of essential oils by using pure lavender oil to help heal his hand that was burned from an accident at his family’s cosmetics laboratory. Today, the use of essential oils continues to grow rapidly, as numerous health and wellness benefits continue to be discovered. 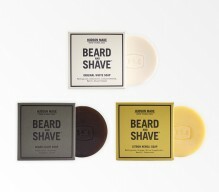 Synthetically produced scents maybe compare on the surface to their natural counterparts. They are often more cost-effective for manufacturers, which results in greater attainability for the consumer. But in this case, you get what you pay for. 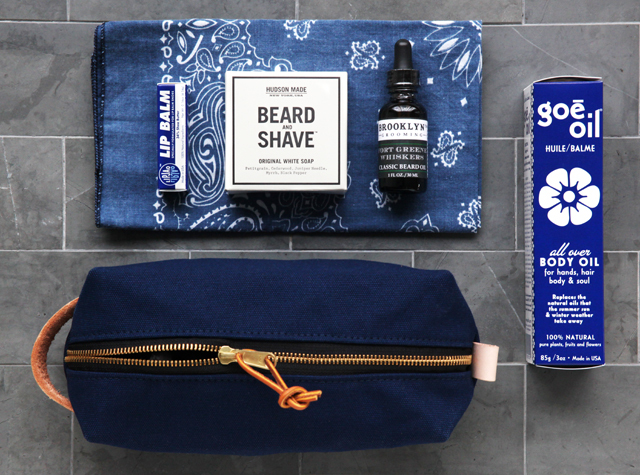 Unlike essential oils, synthetics are not as sustainable or biodegradable for the environment. Maine notes, “Essential oils require growing and harvesting the materials, (without machinery), and precise timing for distillation. The amount of essential oil from raw materials also extracts in small quantities, so it requires farm labor and more land for manufacturing.” With this type of “hands-on” product lifespan, there are key ingredients that synthetics will likely never replicate—heart and soul. Many essential oils are used for aroma-therapeutic healing; however it’s important to understand the correct application process to avoid potential allergic reactions. 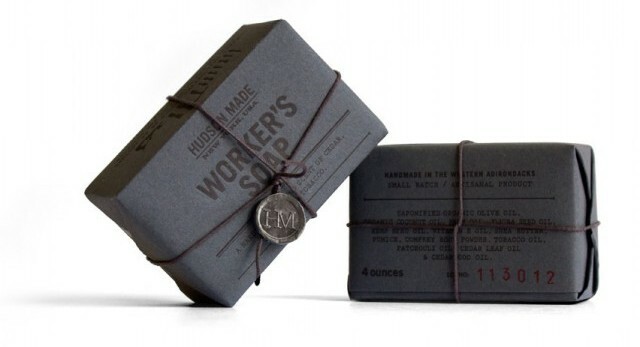 Through precise distillation techniques and blending of proper base oils, Hudson Made has crafted a collection of soaps that encompasses multi-functional skin-treatments and is curated with the finest essential oils from natural resources. 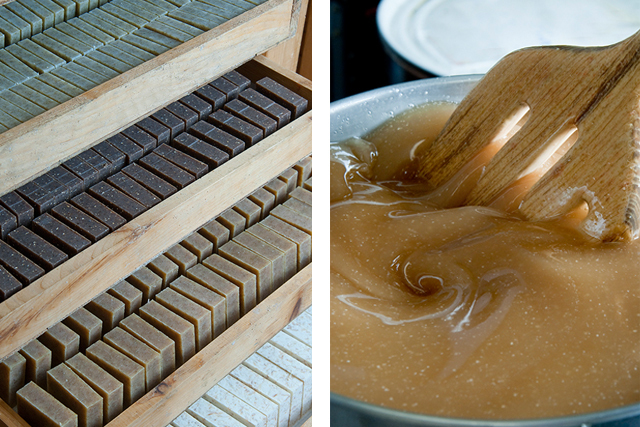 Made by hand, each batch produces about three hundred bars and requires careful manipulation of the essential oils and saponification using a 3-foot-long maple spoon that turns these well-guarded recipes into into hardened bars. Original White—petitgrain and cedarwood play well together in producing a fresh woody aroma with benefits known for overcoming anxiety, depression and emotional stress. Juniper oil adds a hint of pine needle for an added nurturing effect, with black pepper and myrrh oil blending together for a rich, spicy aroma. 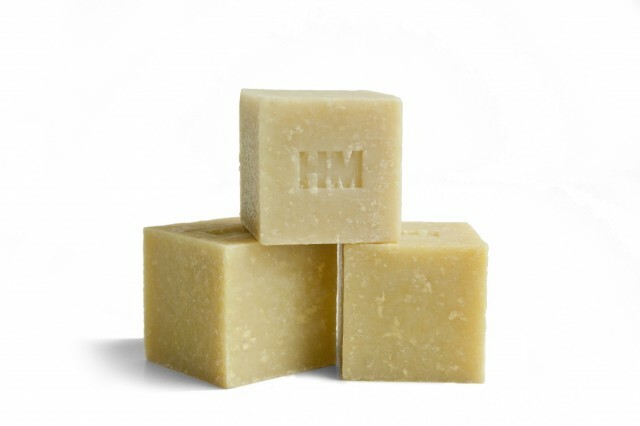 Cedar Clove—cedar leaf oil, mixed with allspice and clove powder give this a soap a powerfully spicy aroma with warm and comforting therapeutic benefits, and a hint of cinnamon adding in a dose of tingly rejuvenation. Citron Neroli—bergamot, white grapefruit and citron neroli oil are complementary ingredients in producing sweet-citrusy and lemon aromas, with a subtle floral accent—known for uplifting, and invigorating effects in aromatherapy. Jojoba (often used for massage therapy and healing dry damaged skin) and vetiver (an earthy scent similar to patchouli) add lively, earthy, aromas. 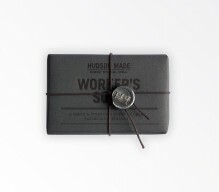 Hudson Made also has also launched several uniquely blended hand soaps crafted specifically for hardworking hands that deserve proper cleansing and replenishment. 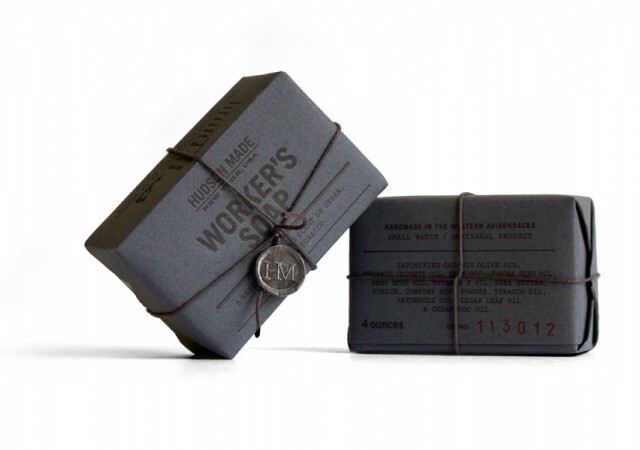 Whether on or off duty, the Workers Soap—coconut, jojoba, hempseed and vitamin E oils gets the job done in forming a hearty lather to nourish and moisturize the skin. 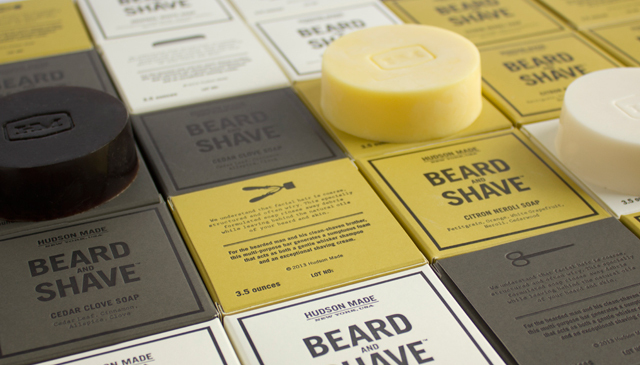 The rich, earthy aromas of tobacco oil and patchouli mixed with cedar come together for a leathery, rugged scent without overpowering the senses. The combination has aroma-therapeutic benefits known for tranquilizing, soothing and anti-anxiety effects—perfect after a long day’s work. 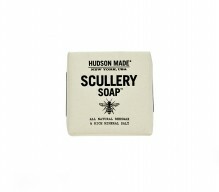 The newest addition to the line, Scullery Soap has taken the heritage of true-to-tradition functionality and blended it with some of the highest quality essential oils available today, leaving skin feeling smooth and supple. 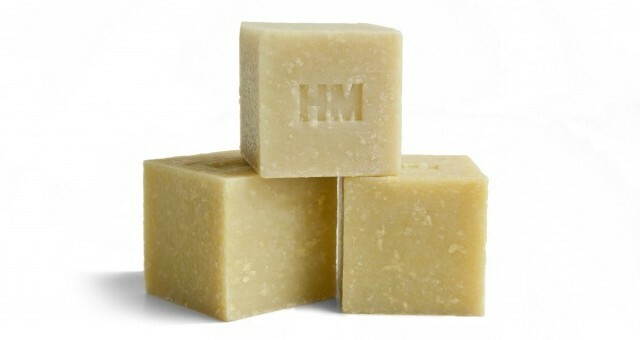 Avocado oil, white beeswax and rose geranium oil not only make a wonderfully fragrant aromatic cocktail, but also all work to achieve skin healing and preservation. Lime and litsea oil both add in a lemony astringency for a refreshing scrub after a day in the kitchen. Dale Pimentel is a fashion copywriter at Levi.com, and a residing native of San Francisco. He grew up as a hip-hop/backup dancer, with a degree in SF nightlife, and has more sneakers than one could fit in a studio apartment.